Free Activities during the Easter Holidays! The school holidays can be an expensive time. So here’s a guide including free events and free places to visit this Easter! Free Swim Fridays – As long as you have a smartcard (available from local libraries and leisure centres) your little ones can swim every Friday for free. Please note most leisure centres are closed on Good Friday though. Please click here for details. 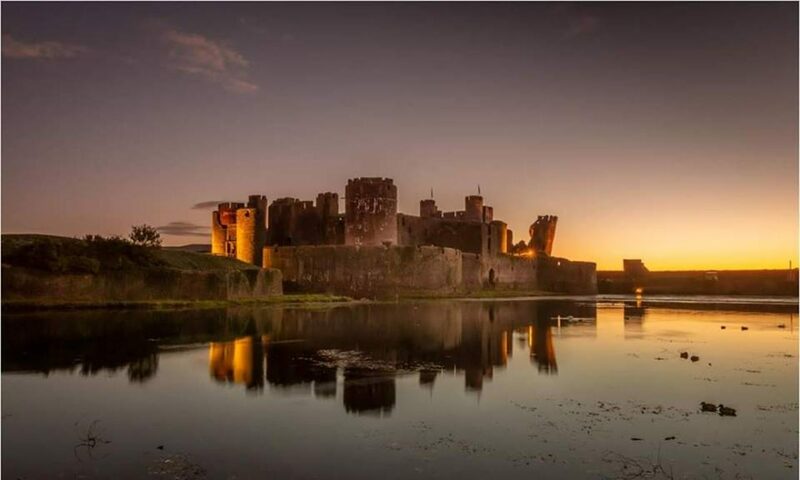 Caerphilly Castle – Many of you living in and around Caerphilly Town Centre should be eligible for a Monument pass for the castle. As the castle is full on interactive activities, a dragon’s den and a maze, this is the perfect way to keep your children entertained during the holidays – as well as giving you the perfect opportunity to teach them a little too! Although the pass is not completely free, it is only £6 for three whole years so may as well be. The only hitch is that you usually can’t use it for event days so please phone the castle to check before heading to one of these. To book your monument pass today, please click here. Parc Penallta and Sultan the Pit Pony. A visit to Parc Penallta is not only free but gives you a chance to see the fantastic piece of outdoor art by Mick Petts, which took over three years to complete and has been named after ‘Sultan’ a particularly famous pit pony! The 200 metre long piece of earthwork is a homage to these brave ponies, the last of which was retired in 1999. These animals were used to haul containers of coal in underground coal mines. The park also has a colourful collection trial, which offers fun way to get children interested in nature. Click here for more details. The Winding House – Although charges apply to some exhibits, this fantastic museum is totally free to go and see. Children get the chance to explore their local history and culture, see some fantastic exhibitions and also have the chance to discover the original Victorian winding engine, which runs at 12pm on the last Saturday of every month except December. Click here to discover more..
Caerphilly Library – Various events are running at the library this Easter. There is also a free picture Easter Egg hunt (no eggs at the end of the trial but at least you don’t have to pay for it) to keep the children busy for a few minutes. They also have lego, duplo and megablocks to play with as well as other games, a Wii and free colouring sheets too! Ystrad Mynach Charity Spring Fair – This fun charity event is free to attend although rides etc though will need to be paid for. Story Time and Activity Sessions- local libraries around the borough are running various story time sessions.. They also usually have either some games, some lego or some colouring sheets too. Why not head along to your local library?